Recent food safety inspections showed that while the majority of restaurants and cafes at UBC meet careful food safety standards, one food truck was shut down twice, and several other restaurants had violations in 2014. 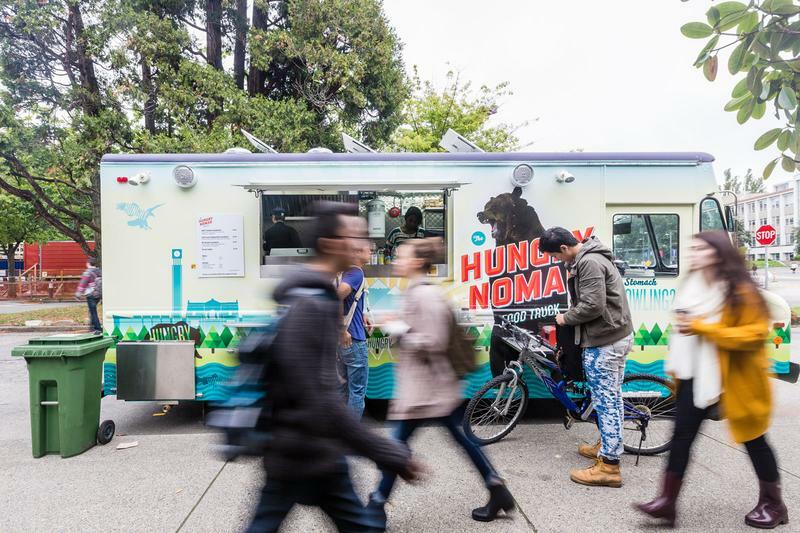 On March 4, Vancouver Coastal Health shut down UBC’s new food truck, The Hungry Nomad, due to a lack of potable water. The food truck was opened again on March 6, after the water issue had been addressed. A second shutdown took place from May 12-15 for the same reason. Dan Tubbs, the manager of The Hungry Nomad, said that the water issues arose when the food truck was just starting out. Tubbs also said that he has been putting in new rules for the workers ever since he took over as manager of the food truck three months ago in order to ensure that all safety standards are met. “Since I’ve been here, over the last three and a half months, I’ve been developing many checklists on food safety and not only food safety, but driving safety, all that kind of stuff around the safety of people working in those trucks and the people that are visiting those trucks,” said Tubbs. An October 17 inspection of Mercante Pizza, the new pizzeria on University Boulevard, found a drain pipe leak under a sink as well as rat droppings and food debris near some of the floor edges. A re-inspection on October 29 found that the issues have been addressed and pest control measures had taken place. Anna Marie D’Angelo, spokesperson for Vancouver Coastal Health (VCH), said that the droppings would not be a reason for an immediate shutdown. Instead, VCH works with the restaurant to ensure that the issue is addressed within a reasonable time period. D’Angelo also said that VCH has many regulations around the storage, preparation and handling of food, which are monitored by regular restaurant inspections. A December 9 inspection of the Vanier lunchroom found some rat droppings by a sandwich prep area, food debris on shelves and under equipment and several holes in the walls. A re-inspection has not yet taken place. A December 3 inspection of the Dog House Food Cart, found that the condiments were not properly stored on the ice and that the hand-washing sink did not have hot water. In the city of Vancouver, a total of 50 restaurants were shut down in 2014. Common reasons for closure include a lack of hot water and pest infestation.